One of the easiest ways to use yogurt is in a smoothie, for a healthy start to your day or a quick dinner. 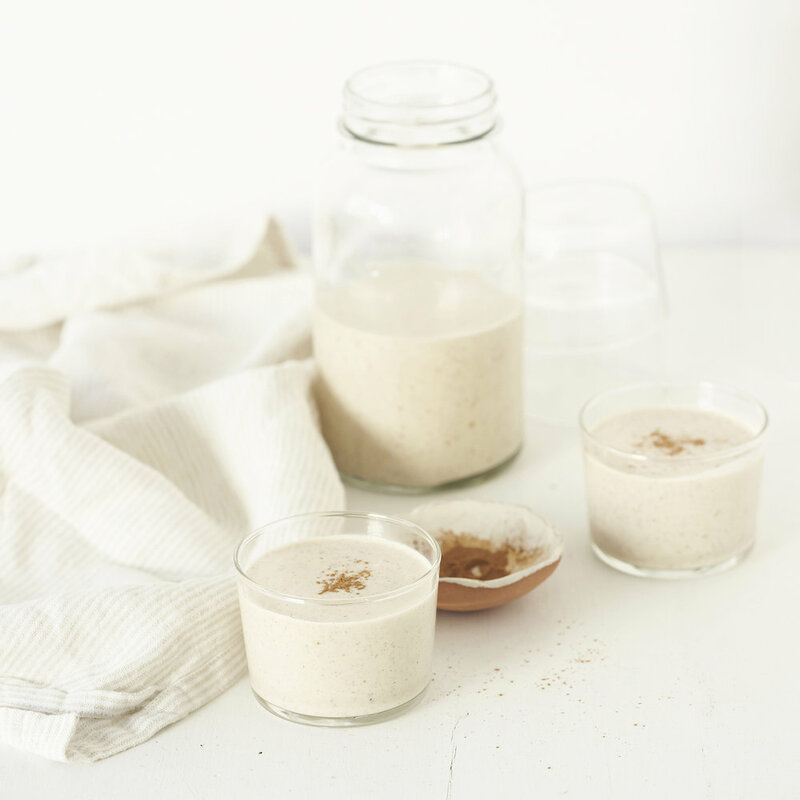 The addition of oats makes this smoothie thicker and provides more substance. For a bit more sweetness, add a tablespoon or two of honey. In a blender, chop ice. Add 1/2 cup almond milk, banana, yogurt, oats, dates, almond butter, ground flaxseed, and chia seeds (if using). Blend until completely smooth. Add more almond milk if necessary. Taste and adjust flavor as desired. Garnish with cinnamon (if using).